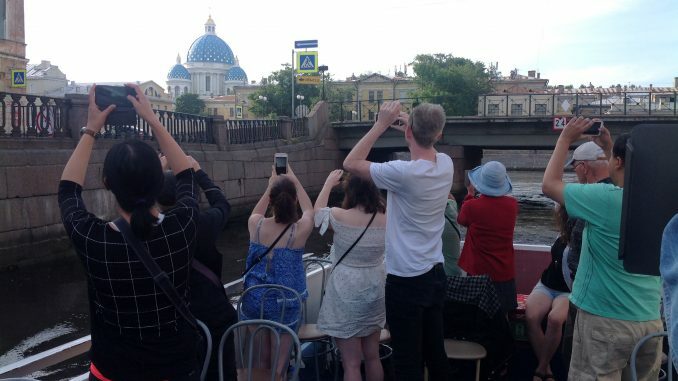 Trinity Cathedral photographed by our tour participants from a boat sailing on Kryukov Canal. Busy season is over, and we are not offering any scheduled turn-up tours any more until spring 2018. Schedule will be published some time in early spring, stay tuned! So far the plan is to start around the weekend of the Catholic Easter, April 1, 2018. Let us know in advance if you’re interested in joining a public walk on those dates – we’ll gauge demand and plan accordingly. 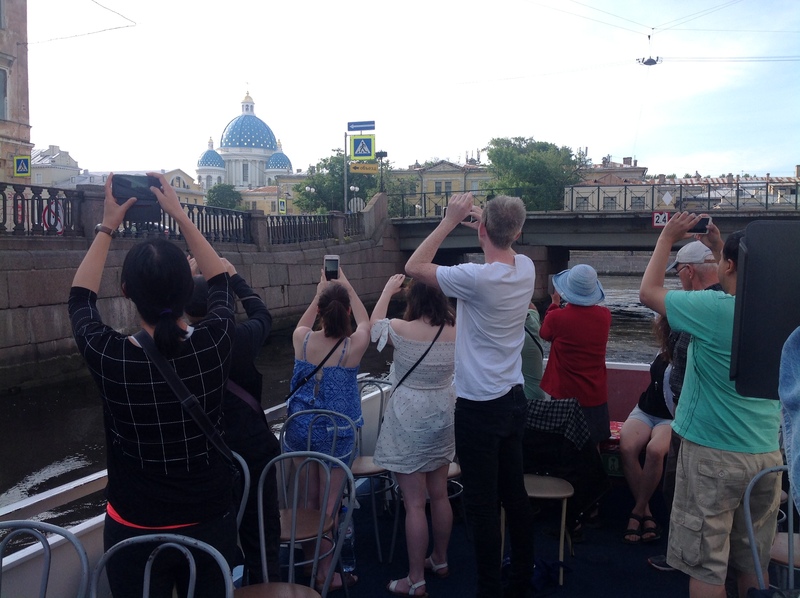 In the meantime, we will gladly arrange a private, customised tour for you on any day in winter! Write us to info@peterswalk.com; give us your dates and the number of people in your party, and some idea of what sort of tour you’d like to do. We’ll get back with ideas and the costs.